We are very excited that you are considering Fluff’s exclusive Bride Artistry Team to help beautify one of life’s most special and memorable occasions. Brides and wedding parties are our passion and our specialty. We would love to share our expertise and this beautiful time with you. Click here and visit the “Events” Section to schedule a complimentary consultation and arrange a Fluff tour. What is Fluff’s Bride Artistry Program? Fluff Bride Artistry – Your A to Z Bridal Beauty Creative Artistic Direction Team. From stunning bridal hairstyles to perfectly toned color, glamorous extensions, and flawless professional make-up by some of Denver’s top master artists, Fluff Bride Artistry is your Beauty Creative Director to make your wedding absolutely camera-ready. From “Yes” to “I Do”, Fluff Bride Artistry is here to make this truly one of the most beautiful times in life. Each Bride Artistry Beauty Team artist has an extensive experience working on brides, weddings, editorial photo-shoots, and runway. Each team member possesses a commitment to excellence and exhibits a level of professionalism, which has made us the #1 beauty team in Colorado. Fluff features a world-class professional hair and makeup bar with perfect natural and HD lighting. Our ultra-HD bridal makeup applications will help make your wedding and bridal party truly picture-perfect. The Fluff Bride Artistry Team travels to beautify bridal parties all over the State of Colorado, and beyond. Fluff additionally hosts events of all shapes and sizes, including bachelorette parties, at our Downtown Denver (LoDo) location. One of our Exclusive Bridal Beauty Suites is automatically reserved for any bridal party of 6 or more. Our outdoor bridal, relaxing, and entertaining sanctuary is perfect for bachelorette parties, catering, bridal parties and can even accommodate small weddings. Visualize your bridal party or event at our Downtown Denver location. We can accommodate small parties or large parties of up to 50 or more for services. Are you interested in hair, make-up or both? (Since we offer a wide variety of beauty services, be sure to check out our full menu for other ideas such as organic airbrush spray tanning leading up to your wedding day, or ask your bridal concierge team member for recommendations). A trial run is not only a fun and relaxing opportunity to drink champagne with those close to you, but is very highly recommended to make your wedding day absolutely flawless (and can cut the time it takes to do your wedding day hair and make-up in half, while reducing day-of stress tenfold)! Your trial run includes multiple styles of both hair and make-up that serve to find your very best look for your big day. You can even combine your trial run with your engagement photos or another photo-op! Where will you be getting ready on your wedding day? We travel all over the state of Colorado, and sometimes beyond. Would you like your day of services to be at Fluff Bar or At Your Location? If you selected "At Your Location", what is the name and address of the hotel or venue and in what city and state is it located? Extensions are one of our specialties. Will you (or others in your party, either already have (or be wanting to add) hair extensions for maximum effect? Upload your Bridal Inspiration Photos Here (and email as many more as you'd like to: events@fluffbar.com). 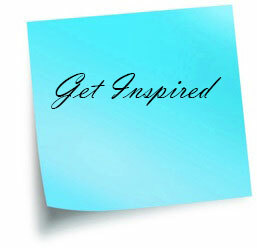 We love to see and be inspired by your vision! Thanks again for your inquiry. We will get back to you as quickly as possible. Please note that we are closed on Mondays. Be sure to check your spam folder if you do not hear from us within one business day! Congratulations on your upcoming event! When you reach out to us, we would always love to see your wedding beauty inspirations. We always love receiving a PDF collage, a vision board, several photos, or even a single simple photo that represents special aspects of your wedding vision. Examples of inspirations could be a photo of a particular dress you love, or a photo of a hairstyle or hairstyles that you think would be perfect on your wedding day, perfectly complimenting you and the style of the wedding. This will help us to get to know you! The Fluff Bridal Beauty Team Is a Hand Selected Group of Master Hair and Make-Up Artists Who Work Together Seamlessly to Make Your Wedding Party breathtakingly beautiful. This is our specialty. Unlike most wedding stylists who work independently, as a talented hand-selected team, we have the flexibility to utilize as many artists as we need to make your wedding picture-perfect and run smoothly and on schedule. Whether you need services for 1 or for 30, a well-coordinated team of the right size can get the entire party photo-ready without it taking too much time out of your day, on one of the most special and memorable days of your life. This may sound “expensive”, but we do not charge per artist, or per hour and you only pay for the services that you have done. Simplicity is BEAUTIFUL. We want you to relax, sit back, enjoy, and let us do all of the work. We Assist you in Planning – Look Beautiful, Not Stressed! Our Bridal Beauty Concierge Service, which is included in all of our bridal packages, will work either with you directly, or with your wedding planner to coordinate all bridal beauty aspects of your wedding party. Fluff Bridal Beauty Concierge and wedding planners can work together to seamlessly integrate the beauty program into the rest of the wedding day celebration. We believe weddings should be beautiful, not stressful! If you do not have a wedding planner, we can either help refer you to the right planner for your needs or perhaps you do not need a planner at all! Either way, your wedding is very special to us and we are committed to doing everything we can to ensure your wedding is as well-coordinated as it is beautiful. With hundreds of weddings under our belt, it is no longer a secret that Fluff has one of the best coordinated, most talented, and most prestigious bridal beauty teams in the country. The Fluff Bride Artistry Team truly understands the importance of your wedding, your photos, and your beauty.